There is no dearth of restaurants opening in Kolkata. Every month sees the launch of at least five new restaurants/cafes/lounge bars etc but very few actually manage to impress with their food. The Salt House does. 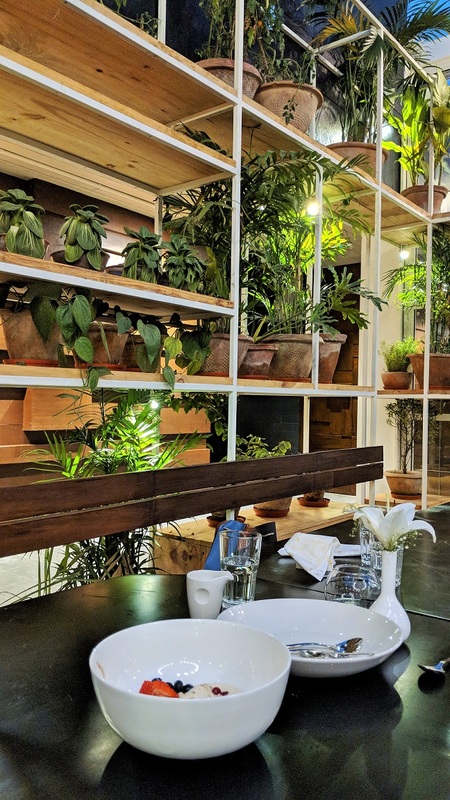 Opened just a few weeks back by Saloni Jhunjhunwalla & Prachi Saraogi, founders of Kaos Gourmet, this European-style restaurant with Chef Auroni Mookerjee heading the kitchen is already making waves in the city’s culinary circuit. And when I went there last week for a tasting session, I knew why. Located on the 6th Floor of Shakespeare Point, the concept of The Salt House is very interesting and for Kolkata, probably a first. It is a bar (will be functional soon), kitchen and club and they serve European food with a classic yet contemporary twist, focusing on local and international ingredients. The place is divided into three sections – inside dining area, glass house and courtyard terrace area. The terrace area is my favourite and I am sure will be yours too if you visit the place. The owners have plans of bringing back the concept of Dinner and a Show to the city. Hopefully, we should be seeing stand-up performances and live gigs in the terrace area soon. 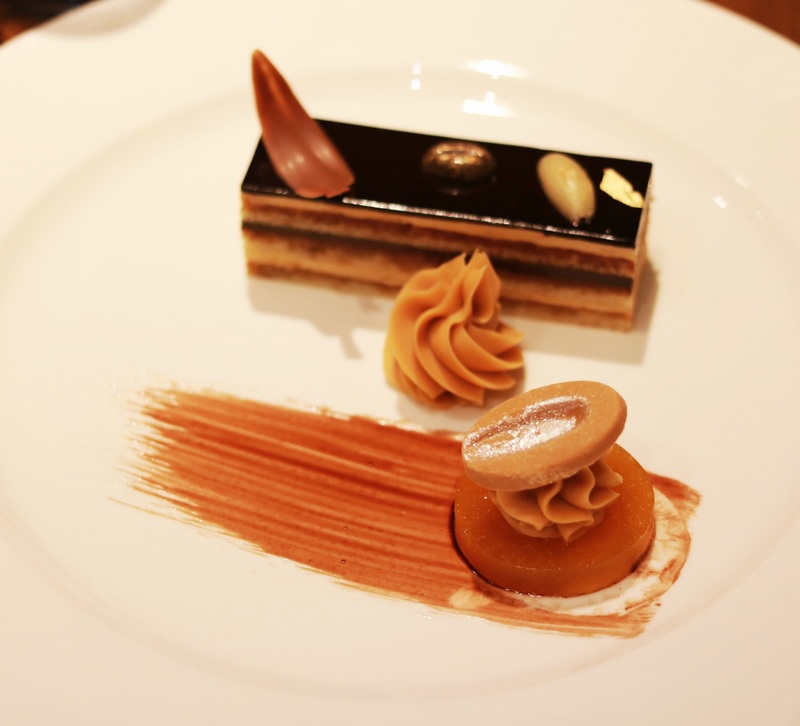 Coming to the food, Chef Auroni is extremely passionate about what he cooks with. The ingredients are authentic, the produce is mostly local and where needed, sourced from different countries as well. He is against the use of preservatives and wants to give his diners a very unique experience of European-style food with a Bengali twist. Think a Gobindo Bhog Risotto served with Pumpkin Flower & Ricotta Fritters or Galda Chingri cooked and executed like a Parisian Langoustine and served with Aoli or Pancakes and Waffles, served with not a side of Maple Syrup, but with Nolen Gur. 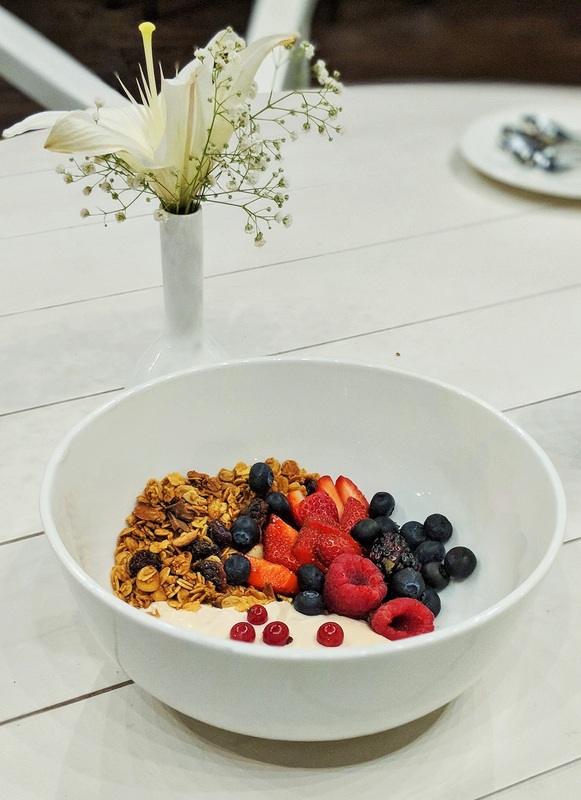 It is tough to name a few favourites because honestly, I loved everything that was served including the vegetarian dishes and that says a lot about the quality of the food. To make ordering easy for you, I’ll name my top six. 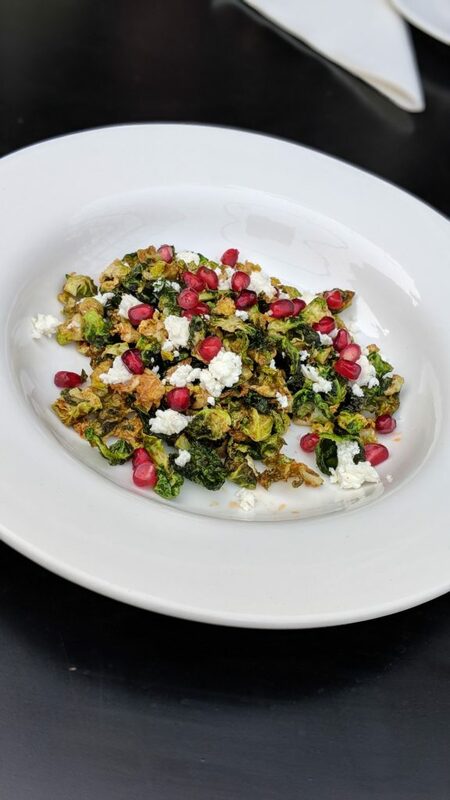 Fried Brussel Sprouts with Feta and Pomegranate Salad – This is a warm salad and can be a perfect start to a meal. The crunch of the brussel sprouts, the salty feta with the sweetness of the pomegranate makes for a very refreshing combination. Mutton Sliders – I love my burgers with a healthy portion of juicy meat without any dressing or sauce. 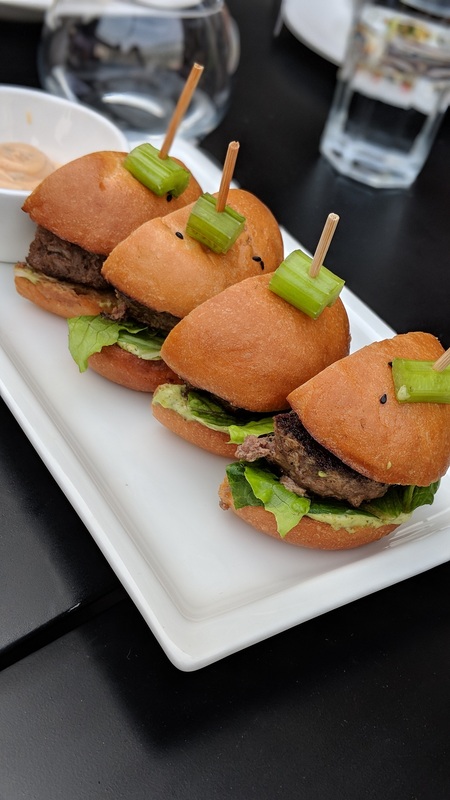 These sliders are therefore perfect! 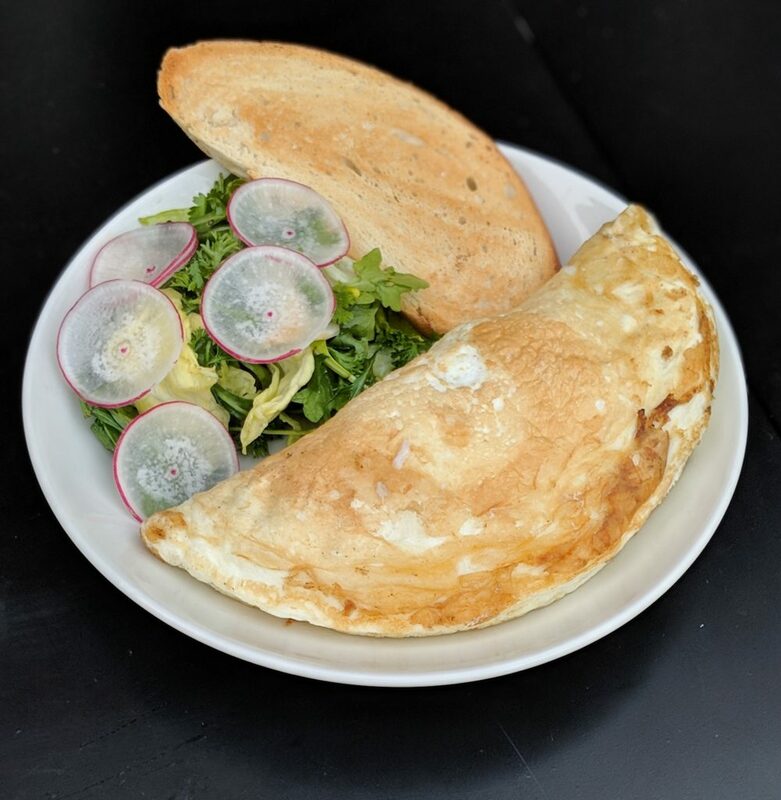 Fluffy Omelette – Strange that I am recommending an omelette right? But you’ve got to try it. Believe me this was one of the fluffiest omelettes I’ve had in my life! It just melts in the mouth. 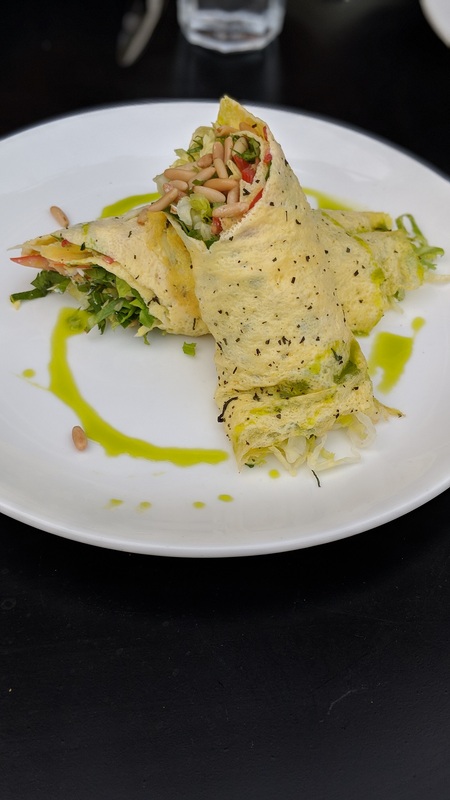 Another omelette that is worth trying here is the Skinny Omelette, Chevre and Salad Wrap. This is basically veggies, pine nuts and chevre or goat cheese wrapped in an omelette and is great as a breakfast/brunch item. 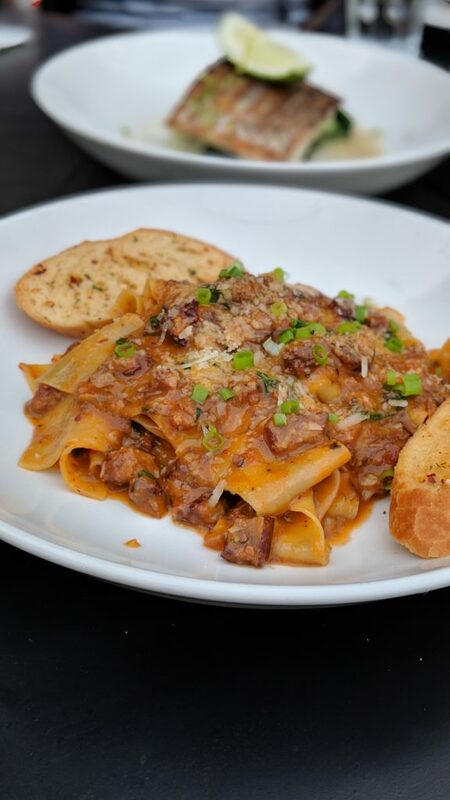 Mutton & Pork Ragu – This dish has mutton, pork and handmade silky, smooth pappardelle. Need any other reason not to love it? 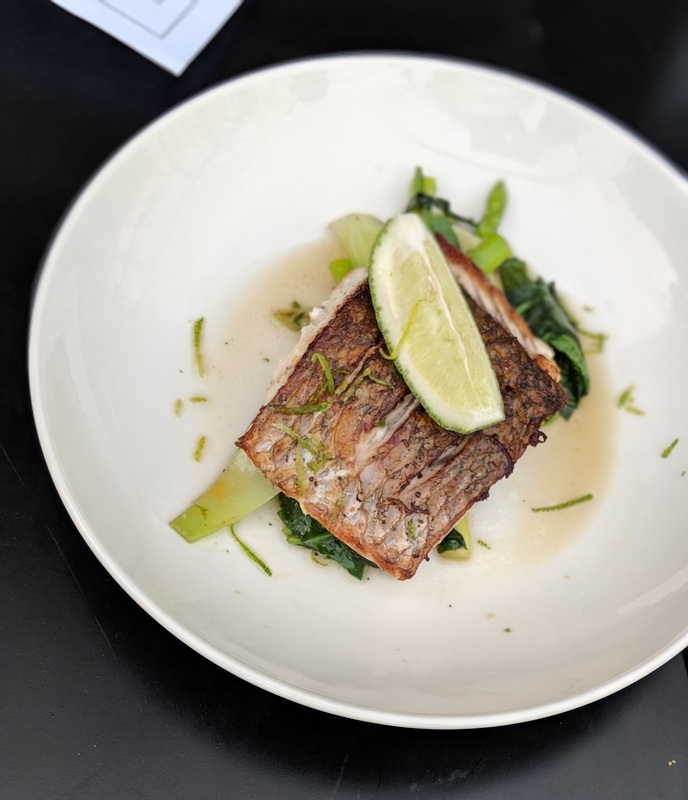 Pan Roasted Bhetki – This dish is a must for a fish lover. The taste and freshness of the bhetki comes through beautifully. And the interesting additions to the dish are Kolmi Saag, Spinach and Gondhoraaj Lemon. After my experience at The Salt House, I can safely say that the food there was one of the best I’ve had in many months in Kolkata. 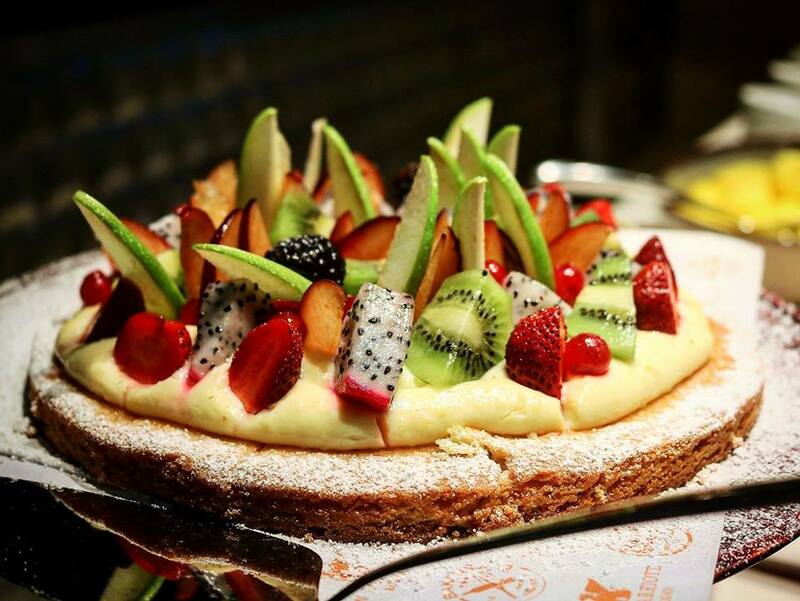 It is innovative, fresh, bursting with flavours and most importantly, delicious. I am hoping for a lot of exciting stuff from Chef Auroni and the team in the coming months and I hope they don’t disappoint. Timing: 7 pm to Midnight till 9th February. Noon to Midnight, 10th February onwards. 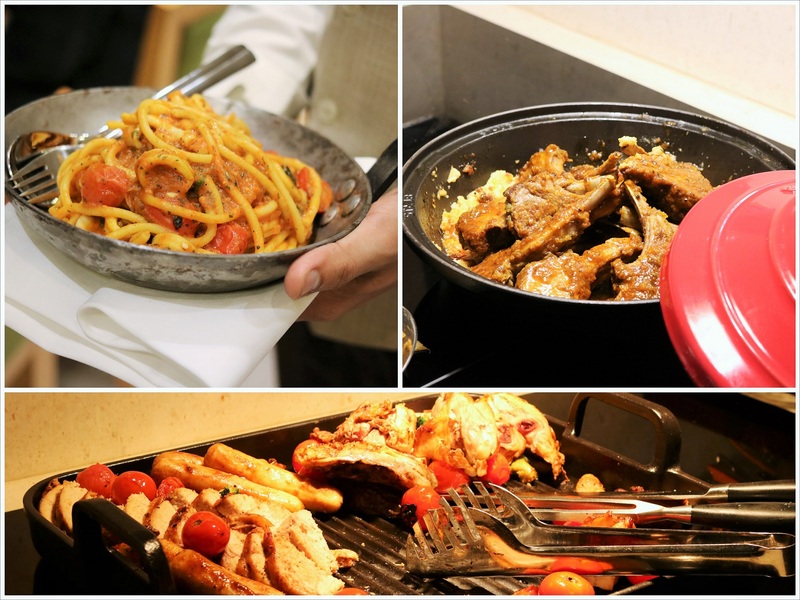 When seventeen very hungry Kolkata Food Fanatics descend upon the newest Asian specialty restaurant in Kolkata, what follows? Madness, mayhem, lots of pictures, lots of social media updates and of course, very good food! What is this restaurant that we all went to? 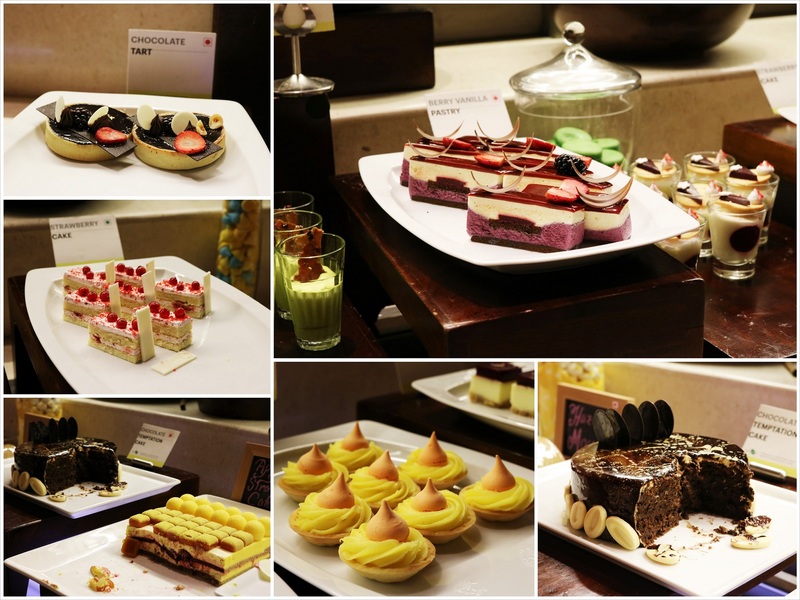 Vintage Asia at J W Marriott Kolkata that is just a month old. 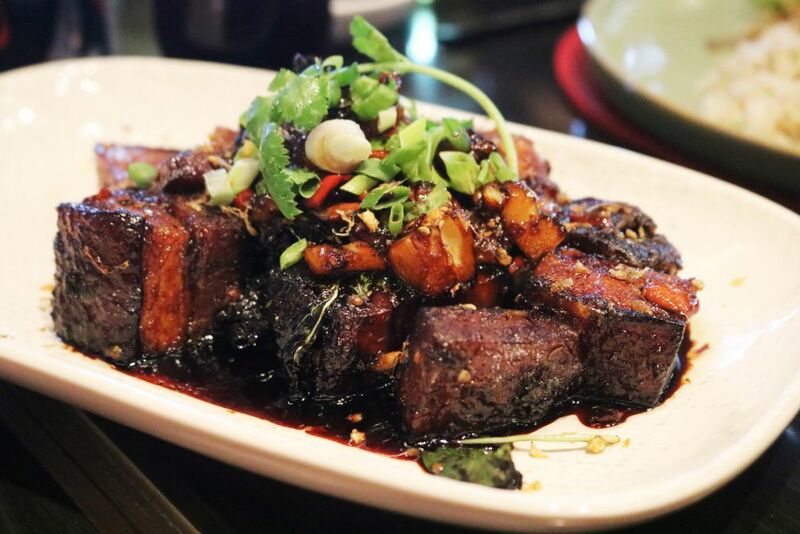 Opened last December, Vintage Asia showcases Asian, Chinese and Thai cuisine amalgamating traditional spices and flavors. It was my first time at the restaurant and I was simply blown away by the food. To know what I ate and what I loved, read on. Vintage Asia is located on the first floor of the hotel and my reaction on entering the place was “The decor is so beautiful and elegant”. Mixing the art deco style with a modern Oriental touch, the ambience is luxurious yet cozy. Just like JW Kitchen, there is an abundance of natural light here and that is something I always like in a restaurant. 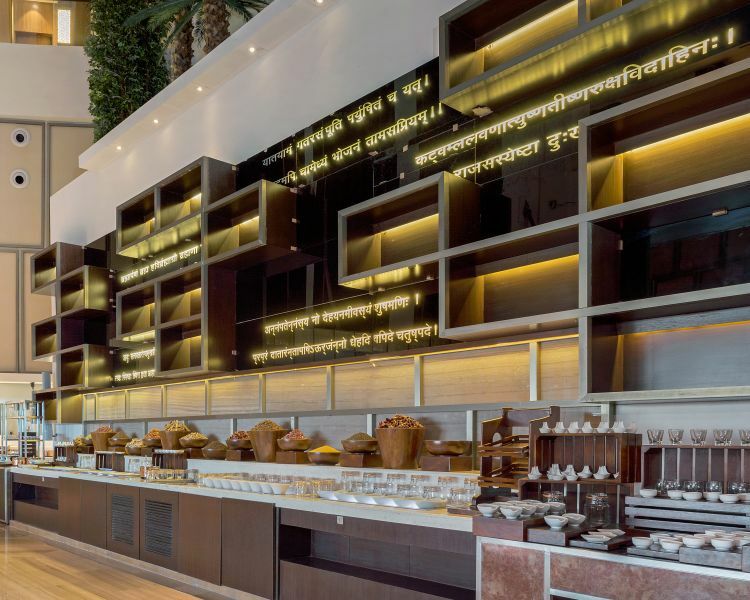 It just livens up the entire atmosphere and of course makes clicking pictures easier :D. The restaurant features a beverage lounge right in front of an open bar which is separate from the main dining area. That makes it ideal for people who just want to unwind over a few drinks and don’t want to go in for a full meal. Happy New Year my pretties! I hope 2017 is our best year ever and there is an abundance of love, prosperity and happiness. This is the first post of the new year and I was in two minds about what to write. 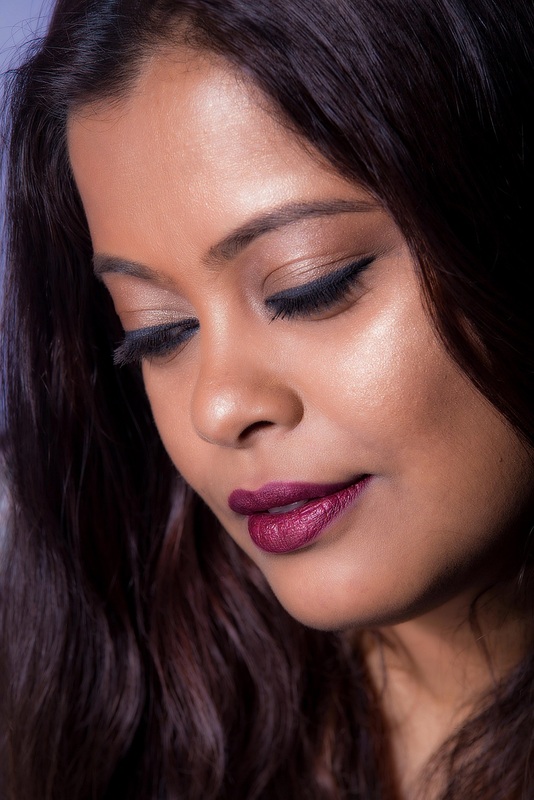 Should I write a beauty related post or a food or a travel one? It is said that whatever you do on the first day of the year, you will do throughout so after much contemplation, I decided to go for a food related post. 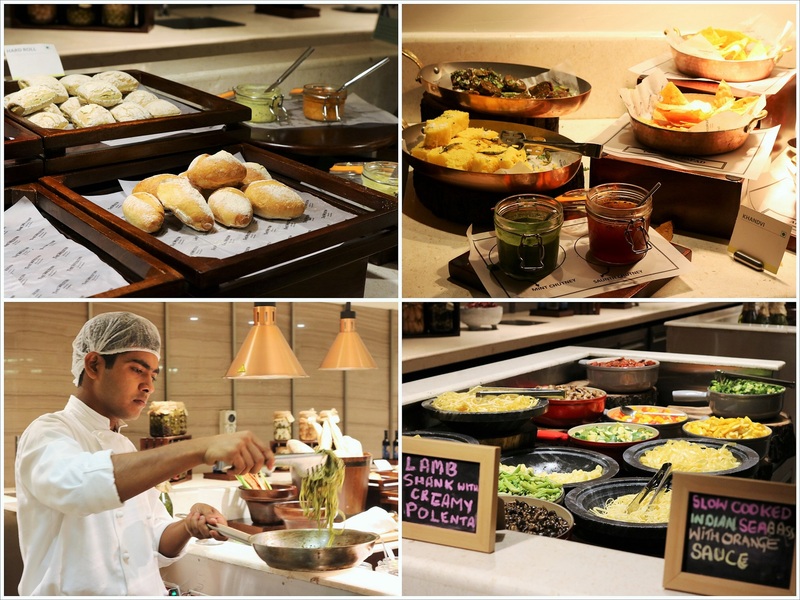 I would absolutely not mind eating wonderful food throughout the year especially if it is as delicious as the food that is served at JW Kitchen, the all day-diner at JW Marriott Hotel Kolkata. Whenever something new opens up, there is obviously a level of curiosity but with JW Marriott, the curiosity level has been insane! 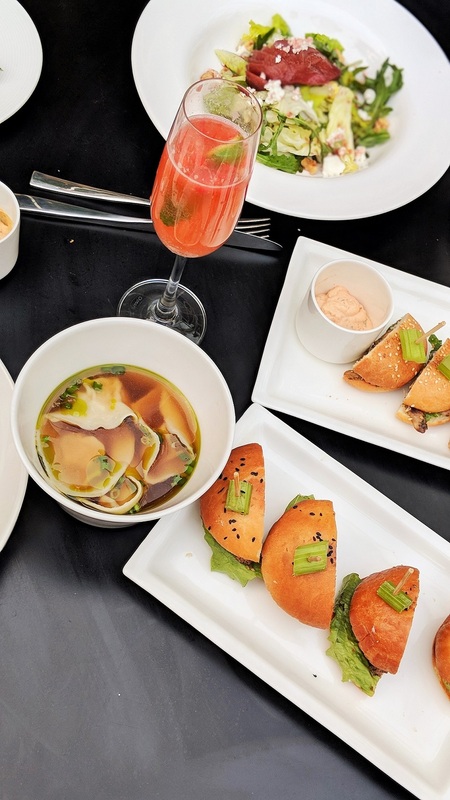 It was practically impossible to get a reservation at JW Kitchen during the first month of its launch. The first time I went, I was celebrating my parents’ anniversary there and I finally understood why everyone was going crazy over the restaurant. 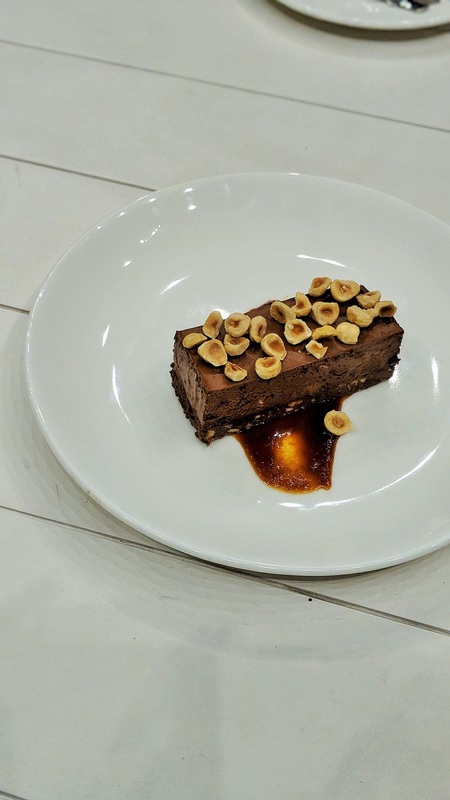 The food is excellent, the buffet spread is huge, the dessert section is probably the best in the city right now and most importantly, the food is not exorbitantly priced.